Kelly Jackson, owner and blogger at " I Have a Notion , otherwise known as IHAN, has posted that her mother is seriously ill with pancreatic cancer and it has spread to her other organs. Her name is Olivia and she is in the hospital in Detroit for the rest of this week and then will be released go home and be surrounded by the love of family and friends. Kelly noticed that her mother really enjoyed the cards that she has been receiving, so she has asked if others could please send her mother cards as well. She requests that they NOT be 'Get Well' cards. When are loved ones are this ill, what they need is just to be sent love and best wishes in an "I'm thinking of you" kind of way. Each of us truly needs to know that we matter and have mattered in this lifetime and sometimes we are blessed with the opportunity to show that love to another..even when we have never met them. I have learned just how very much that can mean, when my loved ones have faced crises and challenges so I knew that no matter how busy I might think I am..I'm not to busy to send a little love to Kelly, her mother, Olivia, and to let this family know that we are one big family..quilters or not...and we all share in the challenges of life. 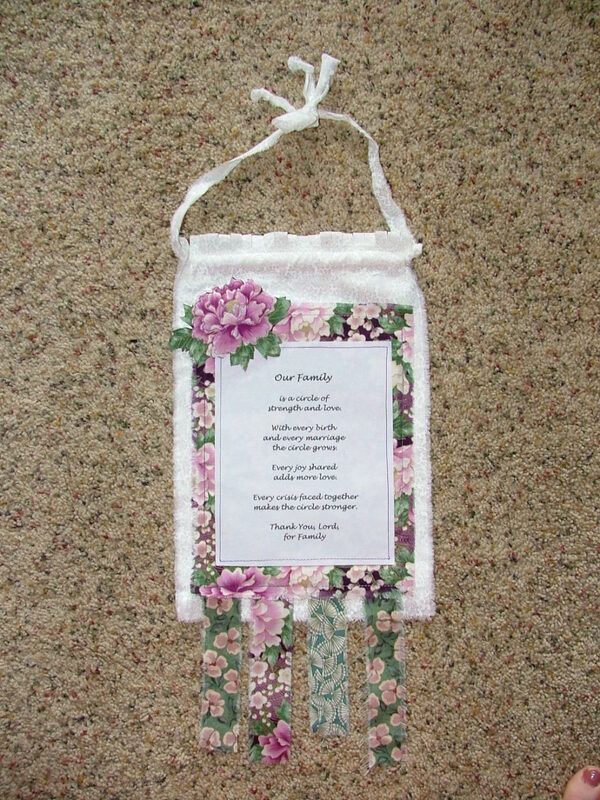 I took a bit of time and made a prayer flag for Olivia, because that is what I wanted to do. I sew my problems out with love. But really, all they need is a simple card with a simple hug and that only takes a minute to write on a piece of notepaper or a blank card if you have one. Olivia's hospital address is on Kelly's blog..it will be the second most recent post since quest bloggers have now stepped in for Kelly for a while. By the way, Kelly has asked us all to share her request, so let's do that! Pass he word on facebook or you're blog if you're so moved...I was! Let's share our special quilter's love and send cards or notes of love and "I'm thinking of you's" to this dear family.Hugs, prayers, and best wishes for every one who reads here, but an extra hug for Olivia, Kelly, and their family. 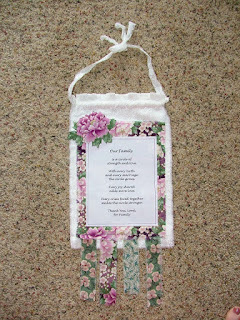 My quick and simple little prayer flag for Olivia was made within hours of reading Kelly's post and request yesterday morning. Prayer flags are now created and love all over the world as away of sharing thoughts and prayers with others. The little strings on mine are meant to flutter in any wind and travel from Oregon to Michigan for this dear family who are going through so much right now. I will send a card to Olivia. This is such a hard time for the family. Big big hug to you, Debi! Like myself, you've been through a lot and know what a kind word or card can mean. Bless you in all ways. Love your prayer quilts and I'm sure Olivia and Kelly will appreciate you making this for Olivia too! I know I appreciate it, very much.